Pediatric Medical Care at a Convenient Time centrally located in Austin, TX. Open 7 nights a week, 361 days a year. "Easy scheduling and great staff!" "Very happy to have a quiet and reliable place to take my daughter when she is sick." "First time visit was great . Staff was very kind and helpful." "Outstanding service of a sports physical of my daughter for a last minute parent." "Always a great experience. Nice to have the option for after hours needs"
To minimize your wait time, please book your appointment online if before 6 p.m., otherwise call ahead to schedule at 512-499-2452. Walk-ins are welcome but may result in longer wait times. After Hours Kids is open 7 nights a week from 6:30-10:30 with the exception of Thanksgiving, Christmas Eve, Christmas Day and New Years Eve. In addition to your copay or deductible, there is a $30 convenience fee due at time of service. 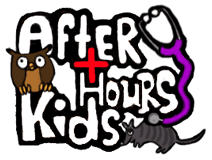 Located in central Austin, After Hours Kids specializes exclusively in pediatrics and has been a part of the Austin community for nearly a decade. Locally owned and operated, our clinic is staffed by Certified Pediatric Nurse Practitioners who are highly skilled in diagnosing and treating childhood illnesses, conducting sports physicals and managing sprains, strains and head injuries. Convenient extended hours and appointments are available to accommodate families with busy schedules, minimizing wait times. After Hours Kids has an onsite lab so test results can be ordered and interpreted on the spot, leading to quicker diagnoses and faster access to prescribed medications and treatment plans. After Hours Kids is open 7 nights a week, every day of the year from 6:30 pm to 10:30 pm, with the exception of Thanksgiving Day, Christmas Eve, Christmas Day, and New Years Eve. In addition to your copay or deductible, there is a $30 convenience fee due at the time of service. After Hours Pediatric Medical Care at a convenient time. (click for list of common issues we treat). Why choose After Hours Kids? Pediatric Associates of Austin exists to provide parents and children with excellent medical care and parenting education. We strive to be advocates for children to ensure each child’s value and to help families be successful in raising confident, capable members of our society. click here. Because many changes have occurred this year in the healthcare industry, we ask that you contact your insurance company to confirm that your doctor is an in-network participating provider for your particular plan. You will need our tax ID# 741870685 for confirmation of plan participation. This is also highly recommended if you are selecting a new insurance plan, as it is the parent's responsibility to verify whether or not your doctor is an in-network provider for your insurance. Please contact our billing department if you have any questions about this or need assistance. We are not contracted providers for Medicaid; therefore, we do not accept patients with Medicaid (primary or secondary) coverage. In addition to your copay or deductible, there is a $30 convenience fee due at the time of service. Phone lines open at 6pm. Before 6 pm please book an appointment online. The clinic saw us right at closing time and treated us with the utmost gentleness, care and respect. I couldn't have been more thankful in an urgent situation. Kid had strep and we needed to get him to the DR before a weekend out of town. After Hours Kids got the job done. The NPs at After Hours Kids are so knowledgeable and patient, and the entire staff is accommodating and kind. Scheduling an appointment was simple and we were seen on time. The staff was friendly and answered all of our questions. ...we always leave feeling much more relaxed, confident that we have a good plan for addressing the problem and we feel heard. The nurse practitioner is so patient. We recently came to the after hours clinic when my daughter had a headache so bad she was vomiting...no problem getting us in...30 minutes before closing.